A K Srinivasan will be the next Director (Finance) of Oil and Natural Gas Corporation, the nation's most profitable company. Government headhunters Public Enterprise Selection Board selected Srinivasan after interviewing 11 candidates at its office in New Delhi on Tuesday. 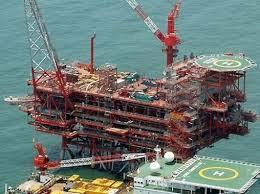 Srinivasan, who is currently Executive Director in ONGC, will replace A K Banerjee on his retirement on April 30, 2014. PESB in a notice said it interviewed 11 candidates, including six from ONGC and one each from Indian Oil Corporation, GAIL, Neyveli Lignite Corp Ltd, Solar Energy Corporation of India and Ministry of Finance. Srinivasan, 57, was the senior most among the internal candidates. "PESB recommended the following name for the post of Director (Finance), ONGC Ltd: -- A K Srinivasan," the notice said. The recommendation will now go to the Oil Ministry which after processing will move a proposal to the Appointments Committee of the Cabinet after taking no-objection from anti-corruption watchdogs CVC and CBI. Srinivasan will be appointed Director (Finance), ONGC, subject to approval of ACC headed by Prime Minister Narendra Modi. He will have a tenure of about two years.